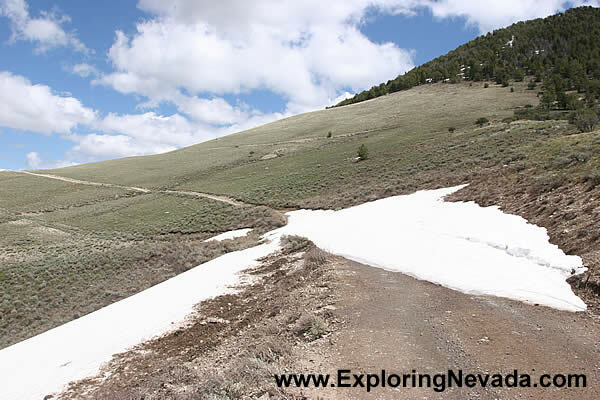 Monarch Mine sits at a very high elevation, so snow still lingers even in late-May. I was only able to travel about a mile beyond the mine until I reached this spot. It's "possible" I could have made it past here, but why take chances? It's a very, very long way to anywhere from here!